This is the news many of us have been waiting for: the opening date for the new Chick-fil-A restaurant at the equally-new Research Row shopping center at 1401 Research Boulevard in Rockville. The restaurant will open on September 27. Finally a Chick-fil-A with a drive-thru! But if you are dining inside, the restaurant will seat 96, and features a two-story interactive play area for families who miss the old McDonald's playgrounds. “I am excited to bring another Chick-fil-A to the Rockville community that I have been a part of for the last 25 years and to have the opportunity to continue serving the community both inside and outside my restaurant,” franchise operator Brad Wood said Wednesday. “I am committed to developing my team members, as together we provide a remarkable experience to our guests who become part of our family." Of course, the restaurant will be hosting the now-traditional campout the night before the opening. Registration to line up will begin at 6:00 AM on September 26 at the restaurant. Up to 100 adults who live in qualifying nearby zip codes will win gift cards for a year of free Chick-fil-A meals. A book drive will also be held, benefiting a local Boys & Girls Club. Who exactly is waiting for this? I'm not. I don't need a chicken sandwich with a side of God. Plus, I did eat there once. Soggy bread. Flattened leathery chicken. Hated it. It's the sides that are a killer for Dyer, they are the wooden stake through his heart. Love what Dyer is doing for MoCo with these reports! Do you have to live near the restaurant to win free food? Asking for a friend. Apparently you must be in a nearby zip code. Last time you lamented the lack of Russian restaurants, and now you announce a fast food restaurant as if it is a three Michelin Star establishment. Sorry Charlie, you are either on the take, or have no idea about good food. I agree there should be more Russian restaurants. Seeing as Trump is Putin's lap dog and Trump does collect a large number of sycophants they do need a place to hang out. 4:43: I thank God I've lived long enough to see commies like you, who were demanding Reagan surrender to Moscow in the 80s (and fortunately, we have film evidence of the demands and demonstrations), now turn on a Russia that rid itself of Communist overlords like you and is an independent player on the world stage. That I've lived long enough to see people like you come around to admitting that Sen. McCarthy was right, and was an American hero - as you now say, there is a Russian behind every door! LOL! Incredible. That I've lived long enough to hear people like you who were condemning the CIA as murderers and who trashed the FBI (you know, the same agency that worked against Dr. Martin Luther King, and even used psyops to unsuccessfully goad him into stopping his movement or commit suicide, as later news accounts detail) now praise these alphabet soup intelligence agencies (same ones you also claimed were fostering fascism in Latin America) as the moral core of America. GOD HELP ME, I DO LOVE IT SO!!!!!!!! God help us all...put down the crack pipe and go to bed, Dyer. How does pointing out crappy fast food, and calling out Trump as the Putin puppet he is equal being a communist? Communism is just another kind of fascism. Putin was KGB and here we have Trump getting all cozy with him. But sure go on your shrill rant bring up Joseph McCarthy. Russian behind every door? What the blazes is the matter with you? 8:17: Hans Riemer is the admitted drug user, not me - I've never used drugs in my life. 9:28: Whoa - that's not what you said in your original comment.You clearly brought up the whole Russia conspiracy. Russia and other governments have used propaganda to influence our elections since the Soviet era began. No evidence of Trump collusion has been unearthed to date, despite millions spent. You clearly stated that there were many Russian/Putin sympathizers who "need a place to hang out." Like McCarthy, you now find a Russian behind every door. You should be heartened by the latest Project Veritas investigation, which indeed found self-declared Communists working inside the federal government, continuing the best traditions of Roosevelt's "advisors" at Yalta. "I have here in my hand a list of 205 . . . a list of names that were made known to the Secretary of State as being members of the Communist Party and who nevertheless are still working and shaping policy in the State Department." 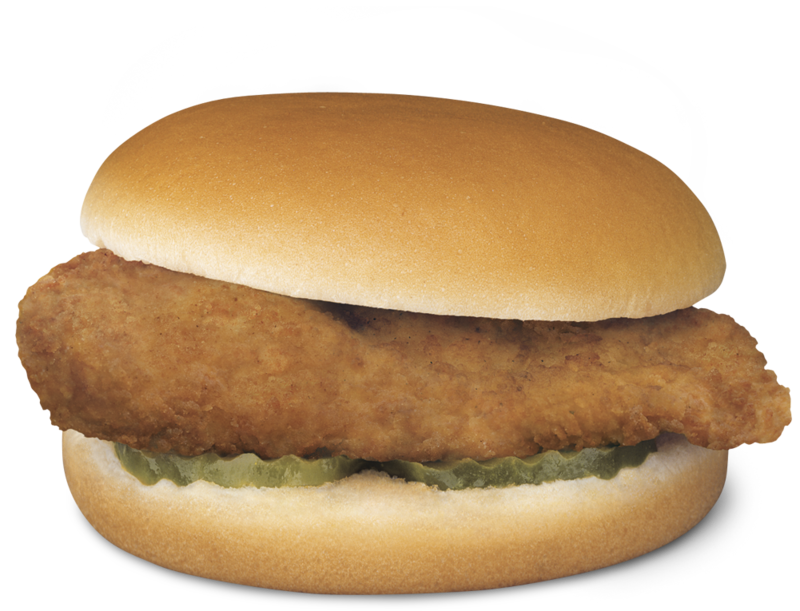 Chick-fil-A has really good food and respectful people working for the company.Always a nice and Tasty experience going there but their stores are always so crowded! 10:24: That's the main reason I'm looking forward to the drive-thru - it's a madhouse at the Montrose Crossing location during lunch. How about you just learn to cook your own meals. You'll eat much more cheaply, much healthier, and you won't have to wander around the roads of our County like a hobo looking for something to eat. A lot of people are fed up with this left wing crap.Someone please take Alexandria Ocasio-Cortez to Chick-Fil-A and show her how a good restaurant with traditional values is run.I bet she would drop the little Socialist/Leninist act real quick! My gf went here the other day to get us food but it was it was so crowded she couldn't get into the parking lot! Chicken and a side of hate. I don't care how good they are at deep frying things, the Cathy family is still deplorable.